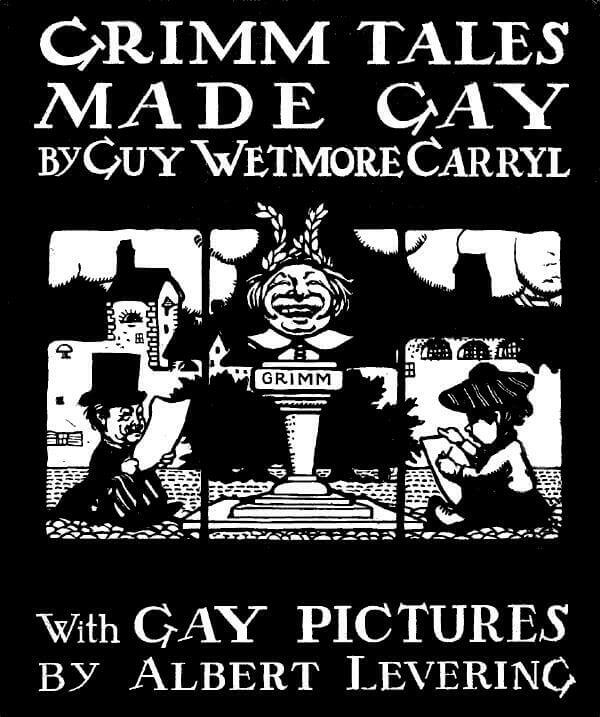 Guy Wetmore Carryl (1873 - 1904), American poet and humorist, can be best described as an author of "fractured" fairy tales and fables, set to verse, which are sure to expand your vocabulary's range. Readers of all ages will appreciate his playful and sometimes snarky parodies of traditional favorites from Mother Goose, The Brothers Grimm, and Aesop. 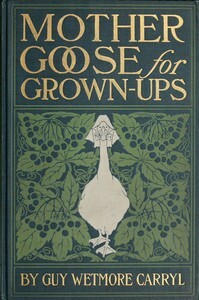 Collaborating with a range of talented illustrators furthers the appeal of his collections, which include: Fables for the Frivolous (1898), Mother Goose for Grown-Ups (1900) and Grimm Tales Made Gay (1902). "It takes two bodies to make one seduction." Considering his proclivity towards puns (particularly in his take-away moral lesson at the end of each poem), we find Carryl's date of death, April 1, 1904 a posthumous joke on us, as if to say, who's the fool now? Fans of Guy Wetmore Carryl's work may also enjoy the whimsical populist poems and stories by Carl Sandburg and the satirical fables of George Ade.